Pollok are delighted to confirm the signing of centre back Danny Boyle from Kirkintilloch Rob Roy. 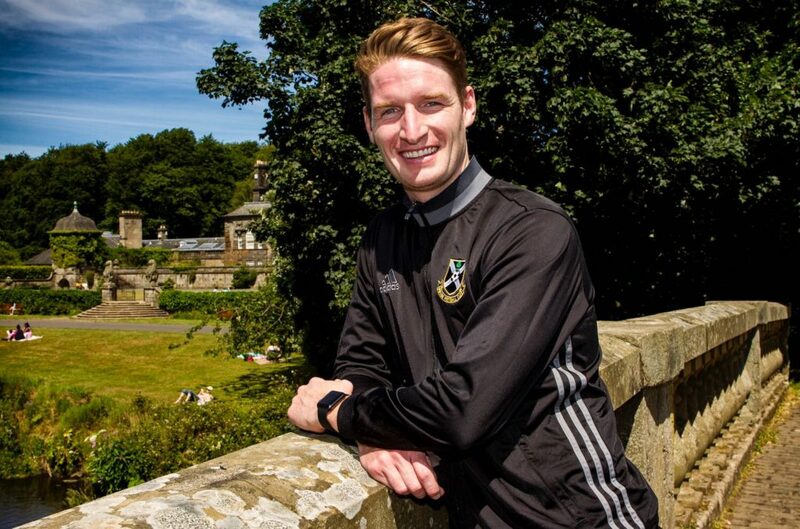 The 6’4″ defender started his career with Campsie Black Watch and finished under 21 football with Drumchapel Utd before signing for junior side Cumbernauld Utd. He then signed for Rob Roy making over 50 appearances. His CV also includes a short stint at Auchinleck Talbot. I’m really looking forward to running out at Newlandsfield in the black and white of Pollok. I know that the supporters are very passionate and demand high standards which is what I aim to bring. Danny will join up with his new teammates at the first day of pre season on Saturday.